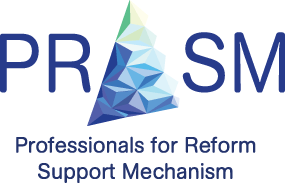 To assist the Ukrainian Government with implementation of the National Strategy for the Reform of the Institutional Care and Upbringing of Children for 2017-2026 PRSM is looking for a group of legal and technical experts that will be embedded within the Ministry of Health, Ministry of Social Policy, Ministry of Education and the Commissioner’s Office for Children’s Rights. The engaged experts will work alongside the personnel of these national institutions to provide consultations and assist with the development of the necessary regulations, systems as well as building up capacity within these institutions to plan, implement and communicate reform of the institutional care and upbringing of children taking into account the international standards and best practices. Inclusive Education Development Expert (within the Project Management Office of the Ministry of Education and Science of Ukraine) will operate to fulfill the goals of the Child Care Deinstitutionalization Reform in Ukraine (“DI Reform”) by providing assistance with the planning, implementation and monitoring of the reform in the context of inclusive education development.